Hi all! I'm Jennifer from Knotted-Thread. I'm so exacted to be a part of this Christmas in July series! When Rebecca asked me to be a part of it I immediately thought of a family favorite. Start out by cutting out the template pieces, you should have one of each flower part and one green part. Take your 2 flower pieces and place them so the petals lay between each other. Once you're finished tie off your end and get your green leaf piece. Position it however you like. I recommend using green so it blends in better. Start by knotting your thread at the end. Come up the green side and made sure the knot is between the leaves and petals pieces. When you're finished, tie it off! I'd love to see picture if anyone should try these! 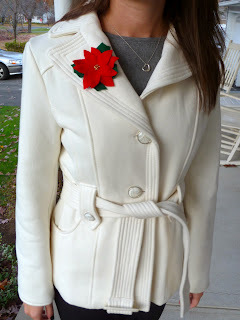 How perfect does that poinsettia pin look on her white coat?! And for those who also wondered, the instant I read through the post I had to email her back and asked if she put on a winter coat and took a picture in the dead of summer. But nope, she didn't! And now she doesn't need that coat in Maui. 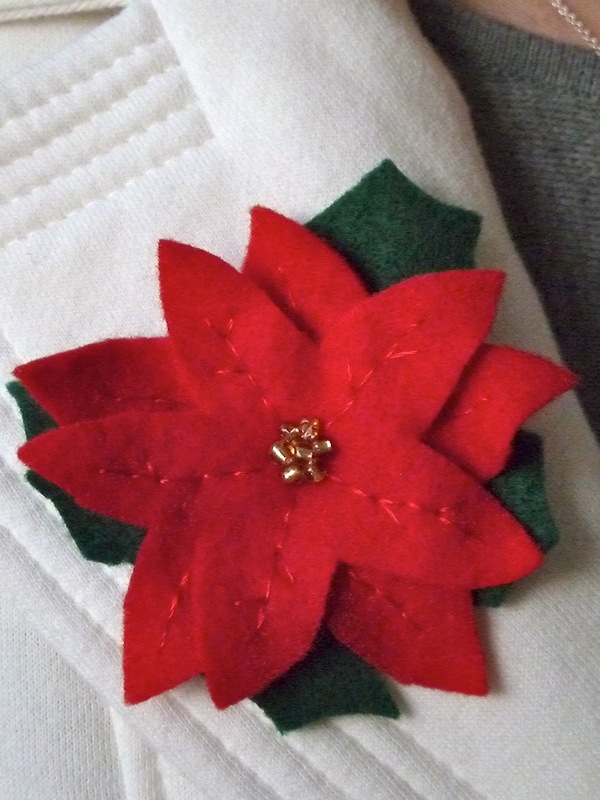 Luckily these poinsettias would look adorable as a garland or pinned to a bag too! I will absolutely be making these, as I have a whole slew of fake poinsettia plants that I put out at the holidays; it's a great way to be festive on a budget! Thanks so much for all the great ladies who created tutorials over the past month! I will be doing a round-up post in a few days so you can access all the tutorials in the same place. 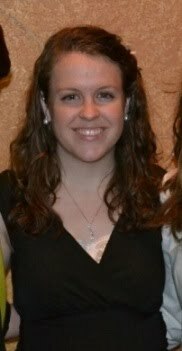 Make sure you checked out Katie's project from earlier today, and then get creating. The linky opens next Monday, July 30th for you to show off your completed holiday projects! Woohoo! Great series Rebecca, thanks for allowing me to be a part of it!! So very sweet!! This is a great tutorial - thanks!